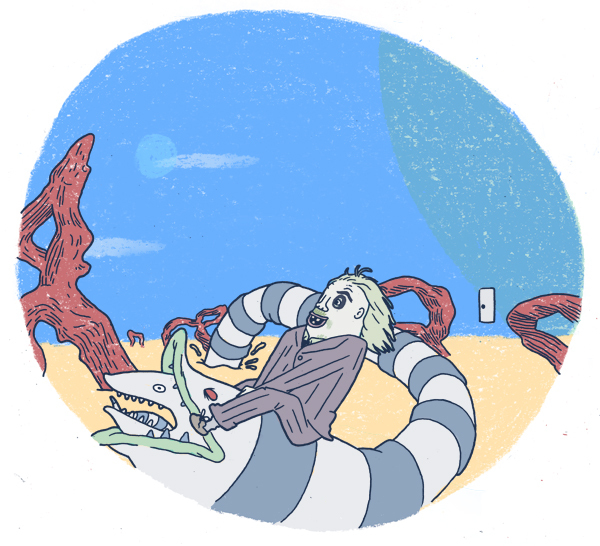 Beetlejuice got bored and decided to go into one of his sneaky portals and ride his pet sandworm. this is so much better than the initial idea. that's why you get paid the big bucks, right? Thanks dude! And yeah, that's why I get xtra peanut butter on my pb&js.